THE Bank of Papua New Guinea has a new Deputy Governor – Dr Gae Yandabing Kauzi. Kauzi has been with Bank of Papua New Guinea (BPNG) for ore than 20 years as a researcher, research coordinator, research department manager, and more recently as assistant governor – Monetary and Economic Policy Group. 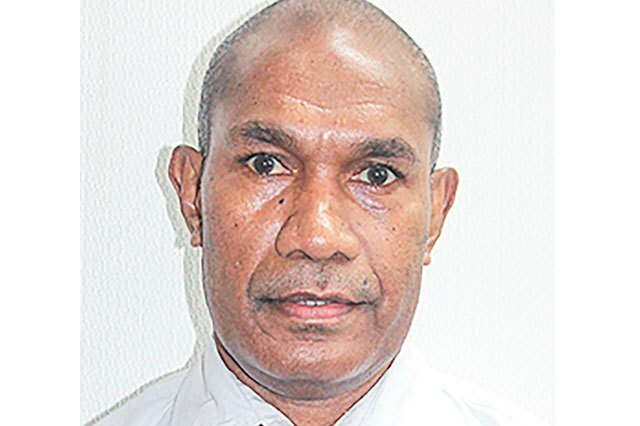 Governor Loi Bakani said Kauzi had experience in monetary and economic policy and would contribute to enhancing and sustaining the central bank’s capacity in policy areas. “BPNG continues to realign its functions to ensure it can effectively and efficiently deliver in its mandated core functions of monetary policy management, oversight and supervision of payments and financial systems, and provision of banking and advisory services to the government,” Bakani said. Kauzi is from Siboma village in the Morobe Patrol Post Local Level Government in Morobe. He attained his Masters degree in Policy Economics in 1991 at the University of Illinois in the United States of America under the US Government Fulbright Scholarship. He received his PhD in Economics in 2004 at the Monash University in Australia under the AusAid Scholarship. He has worked with Bank of Papua New Guinea for the past 23 years. Prior to working with BPNG, Kauzi worked with the Morobe provincial government for two and a half years, and with the Department of Agriculture and Livestock for seven years. Kauzi will be in charge of one of the three core functions of BPNG – formulation and conduct of monetary policy. He will work with other assistant governors on policy-related matters in the supervision and financial markets. Bakani and Kauzi will be supported by assistant governors Elizabeth Genia, (Corporate Affairs), Joe Teria (Finance and Payment Group) and Ellison Pidik, (Financial System Stability Group).